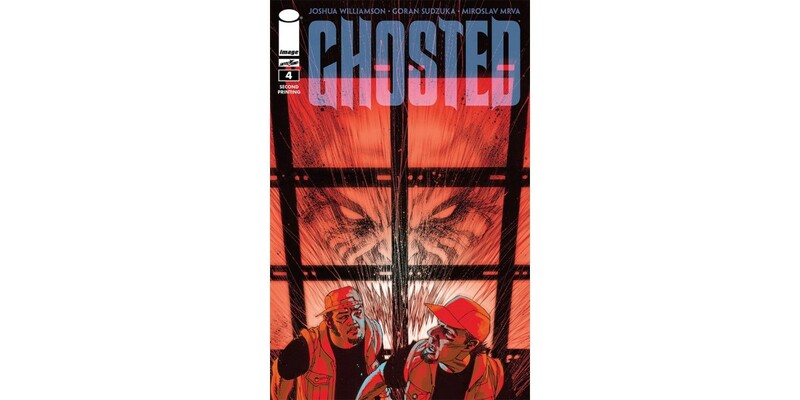 Four sell-outs in a row is no easy feat, but Joshua Williamson and Goran Sudzuka have achieved it with the release of GHOSTED #4, the latest series from Robert Kirkman's Skybound imprint to sell out at the distributor level. Williamson and Sudzuka have crafted a supernatural heist comic that readers simply can't get enough of, and a quadruple sell-out is proof positive of that fact. GHOSTED #4 will be reprinted to meet demand. "Ghosted is a horror/caper story that goes beyond its concept to entertain, surprise, and humor you. I never know where it’s going next and that’s what I love about it so much." "Williamson continues to craft an intriguing series that is not afraid to take chances and Sudzuka’s art is so perfectly fitting to the book." "Joshua Williamson continues to impress me with this series. It takes a steady hand to craft a horror story that not only feels original, but pays homage to what came before it and Ghosted pulls it off beautifully." "Sudzuka’s art continues to do a wonderful job of capturing every dark and frightening corner and aspect of the mysterious Trask mansion, making even empty rooms feel as though they could incite fear and panic." The second printing of GHOSTED #4 can be pre-ordered now using Diamond Code SEP138114 and will be in stores on 11/20. GHOSTED #5, the last issue of this story arc, arrives in stores on 11/6 and can be pre-ordered with Diamond Code SEP130621.